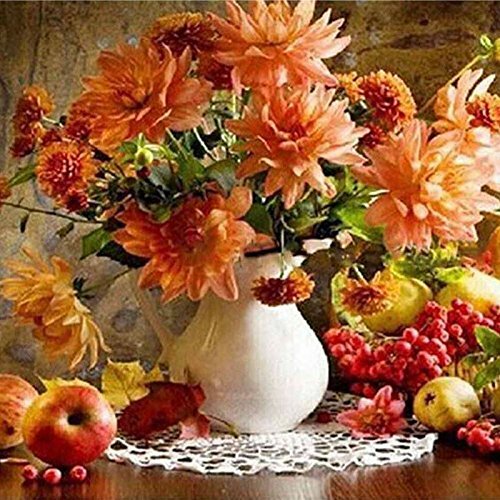 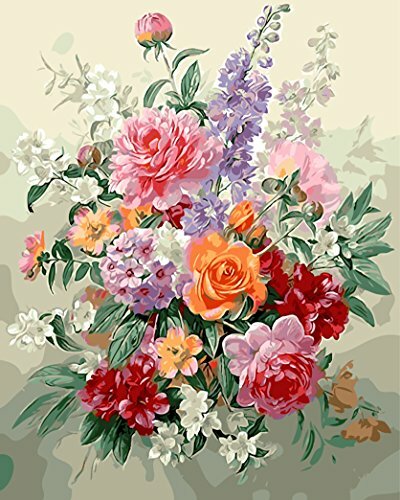 Are you interested in floral paint by number kits. 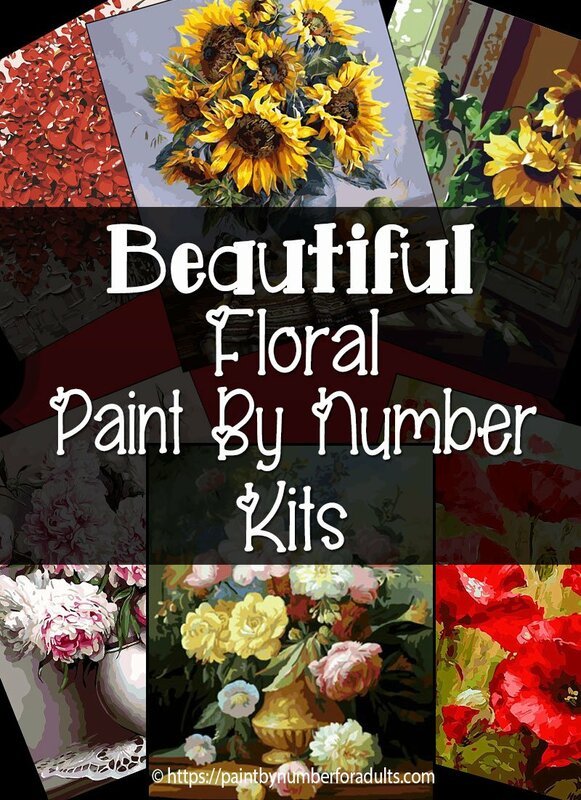 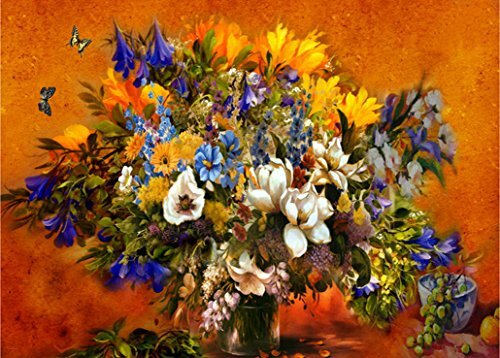 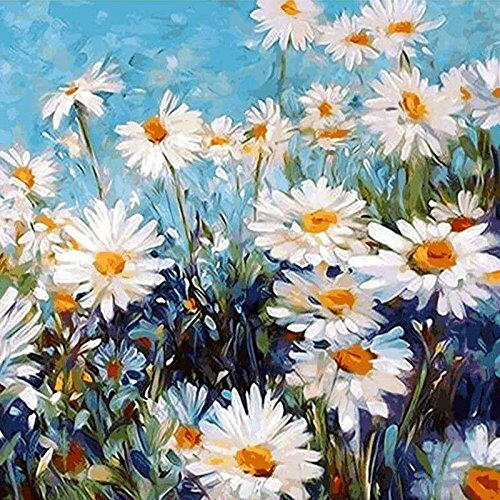 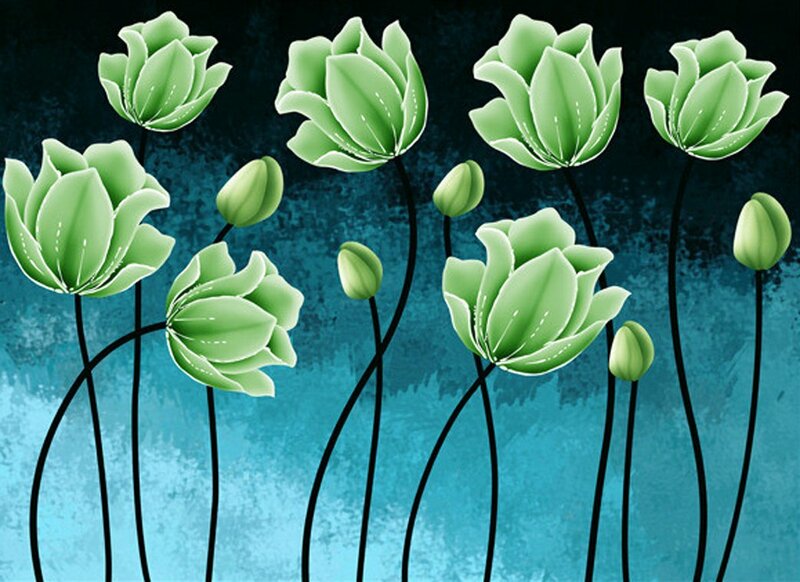 You’ll find a large variety of floral paint by number kits to choose from on this page. 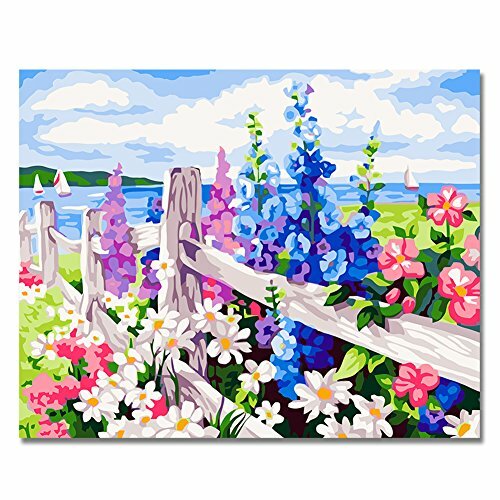 All of the floral paint by number kits come on either pre-printed canvas or pre-printed canvas board. 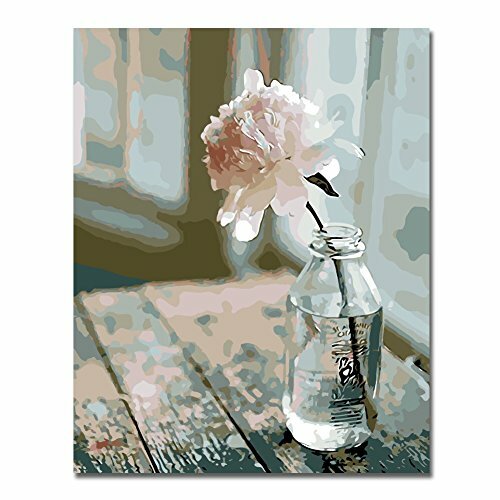 Some pre-printed canvases come stretched on wooden frames and others either need to be stretched or you can lay them flat on a board and tape them down and then once your painting is completed you can then have it mounted and framed. 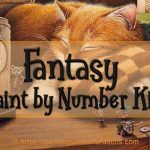 All the kits come with enough acrylic paint to complete your painting and most come with paint brushes. 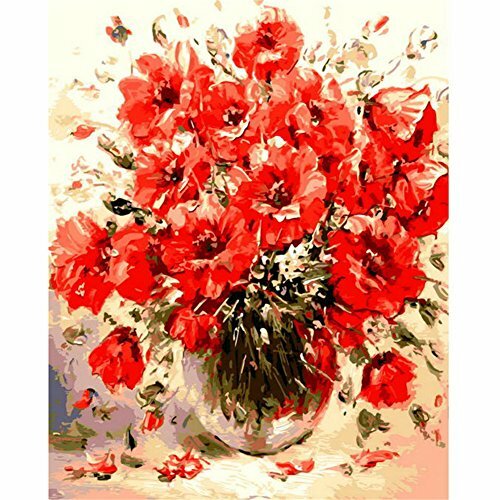 NOTE: If you are just starting out with paint by number kits and you would like your painting to look professional I would recommend that you purchase a set of quality paint brushes as well. 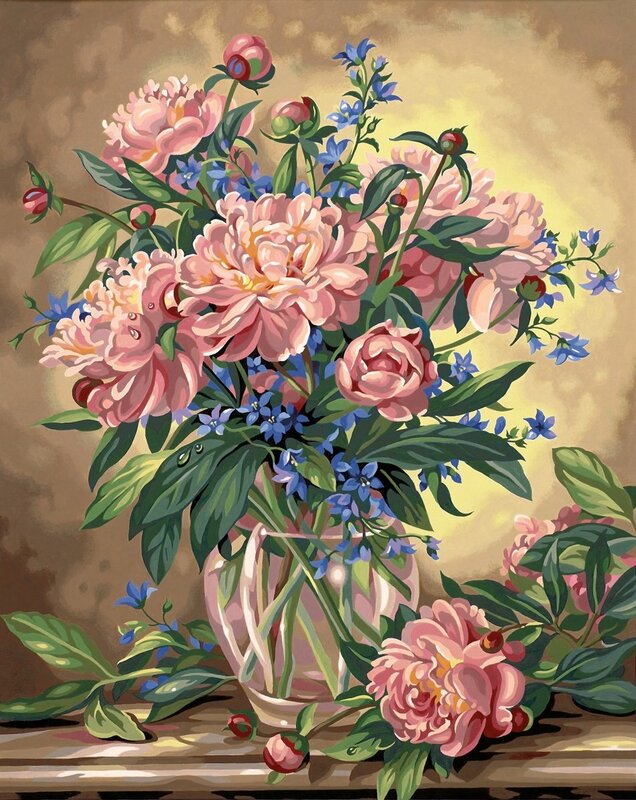 If you have a problem with your eye sight you might also think about getting a magnifying glass, I use one for most of my work and I also like using good lighting as well. 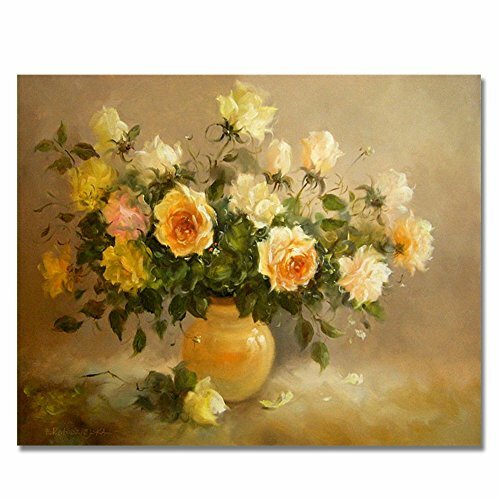 Another nice thing to have is a table top easel which makes for a much more pleasurable experience while painting. 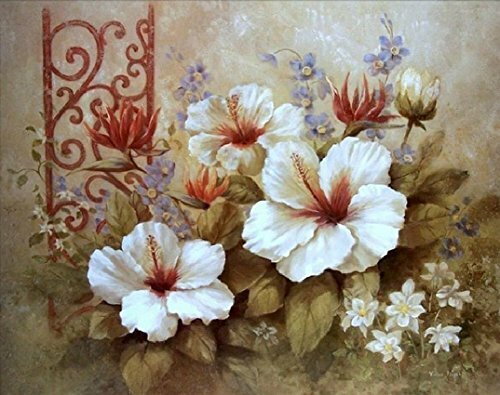 No more neck pain because you’ll find that you loose yourself in hours of enjoyable painting and not even realize where all the time has passed by. 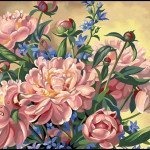 All that being said I hope that you enjoy this page and find a few beautiful floral paint by number kits to work on. 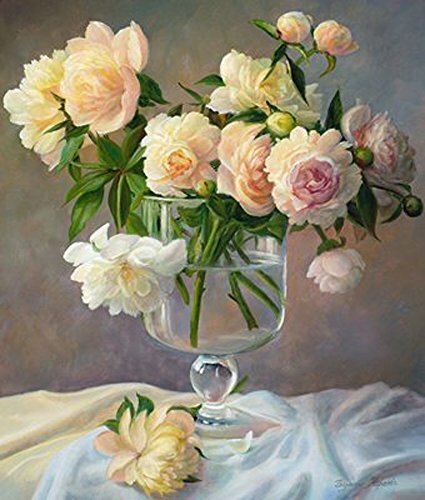 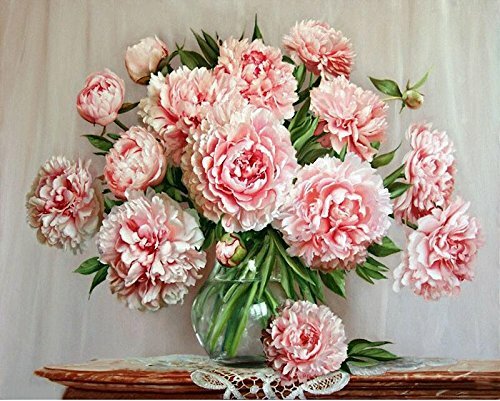 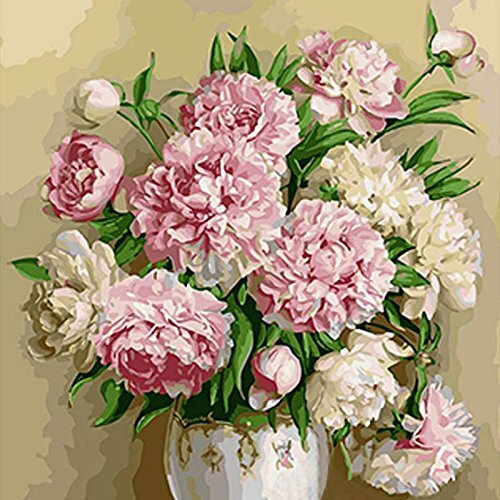 If you’re looking for a floral paint by number kit that will continually bloom this paint by number kit of beautifully arranged peonies will a touch of elegance to your decor. 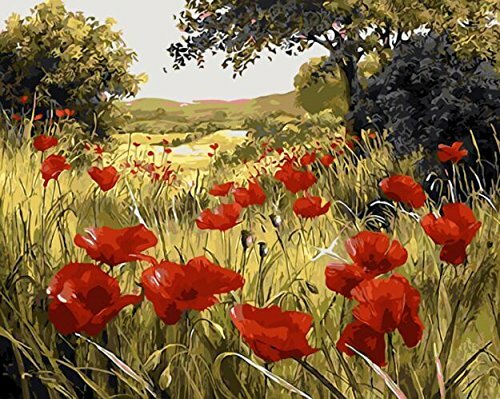 Note: You will more than likely need a few other paint brushes such as a fine-line detail brush and a #4, 6, or 8 flat brush for larger open areas. 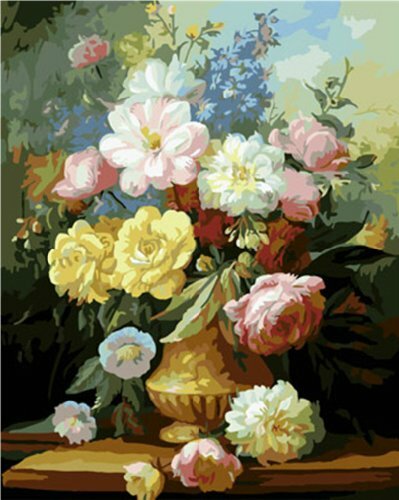 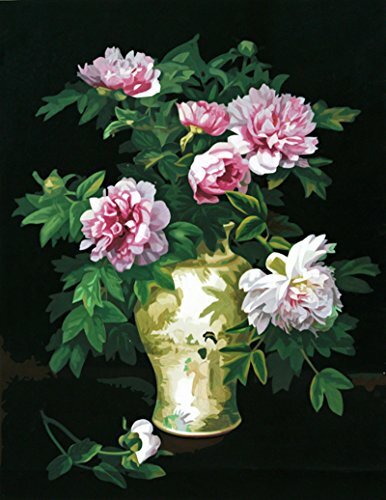 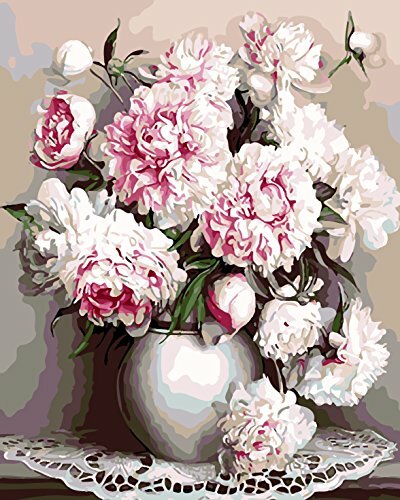 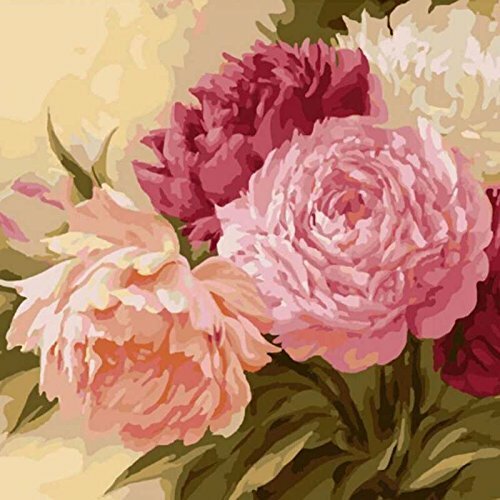 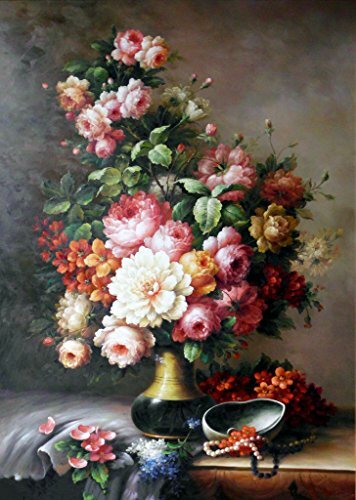 The Peony floral paint by number kit is a very traditional still-life, but you’ll find that it is still really fun to complete even if you have never attempted a paint by number kit. 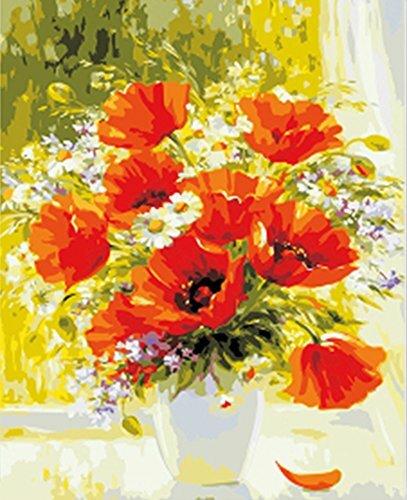 These 2 paint by number kits are pre-printed on canvas versus canvas board as the one you see above. 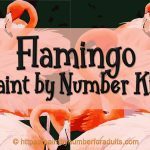 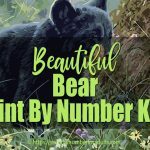 If you are wondering about what comes in the package for these Paint by number kits and how they are shipped here are a few images I’ve found for this company. 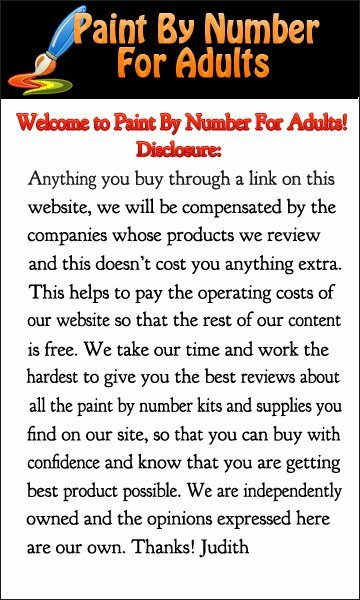 This is what comes in the package for the above 2 paint by number kits. 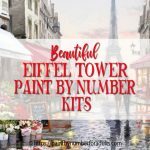 Here is a display of how to work your Paint By Number Kit If you do not have an easel for your Paint By Number Kit using a flat board works great. 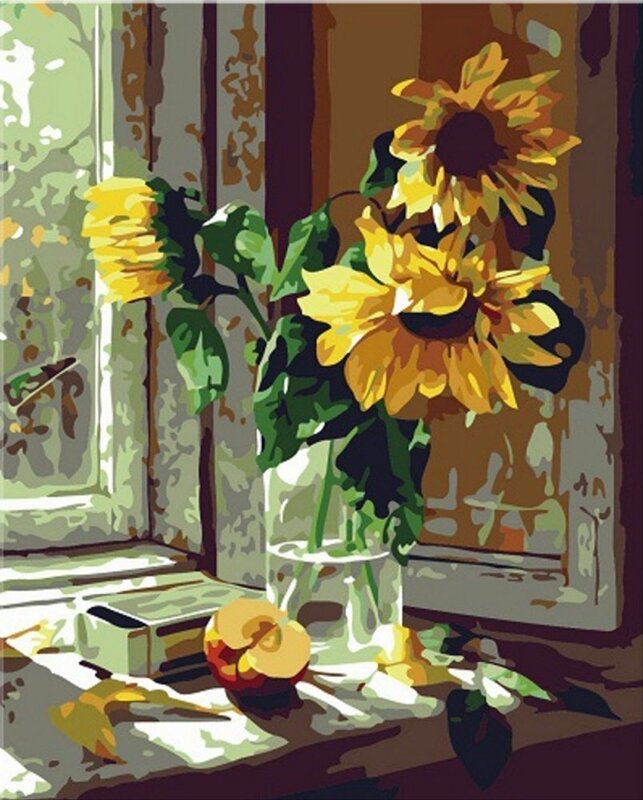 If you love Sunflowers this paint by number kit will give you hours of relaxing enjoyment. 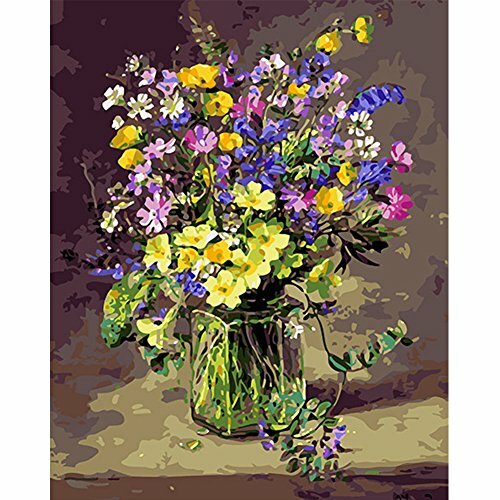 The Warm Sunflower floral paint by number kit measures 16 inches by 20 inches and is a traditional still-life, but you’ll find that it is really fun to complete even if you have never attempted a paint by number kit. 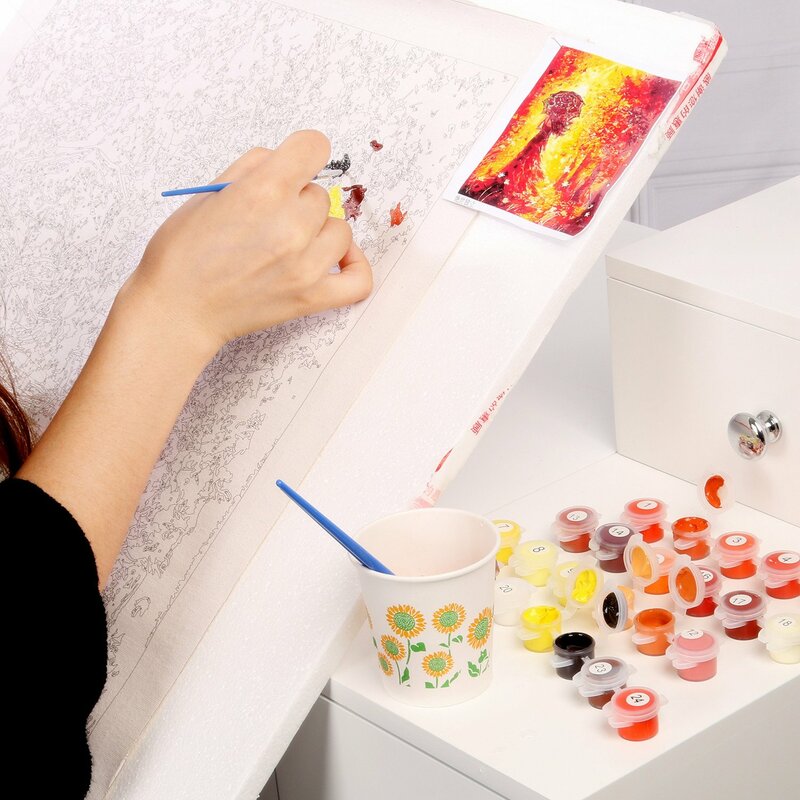 The kit comes complete with Pre-printed high-quality safe acrylic paints canvas, 3 size high quality painting brushes and easy to follow instructions. 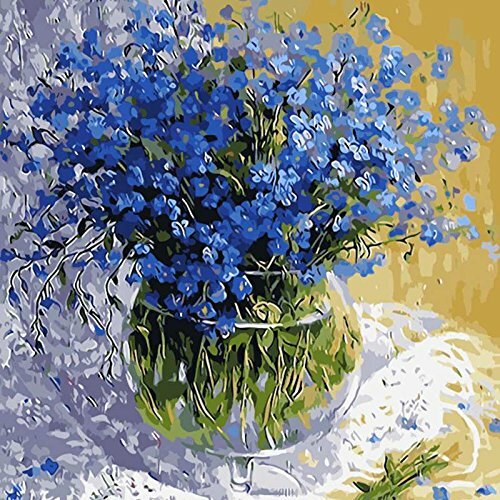 There is no blending needed for this paint by number kit. 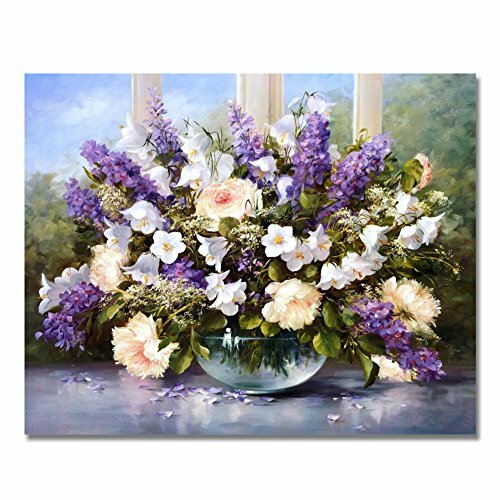 The kit is also available as a framed art canvas as well. 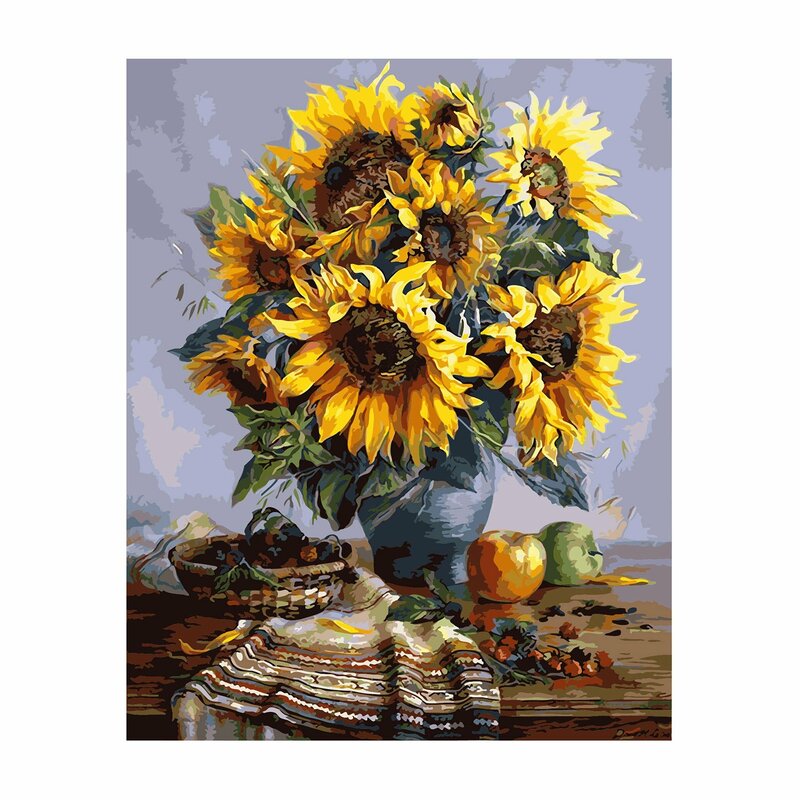 Another 16 inch by 20 inch Sunflower paint by number kit for those of you who just love sunflowers. 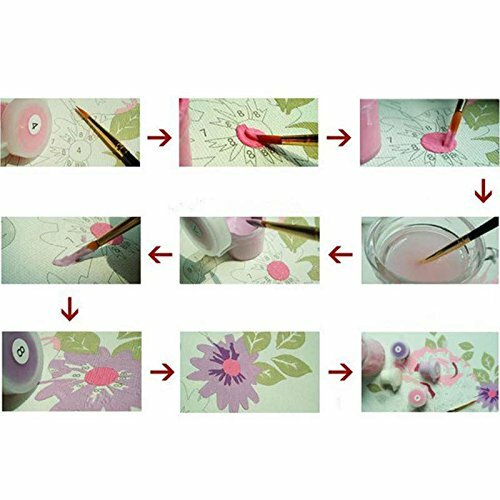 This Daisy paint by number kit comes complete with everything needed to finish your painting along with full instruction. 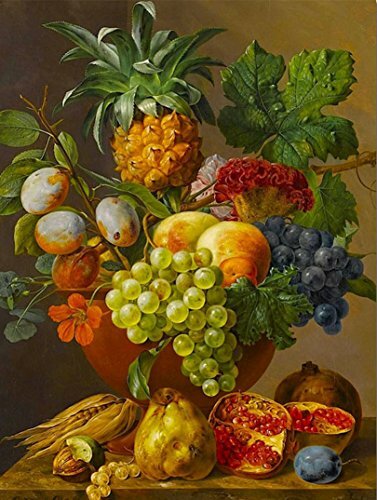 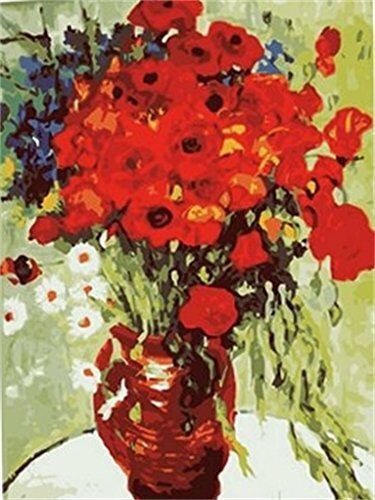 The painting measures 16 inches by 20 inches. 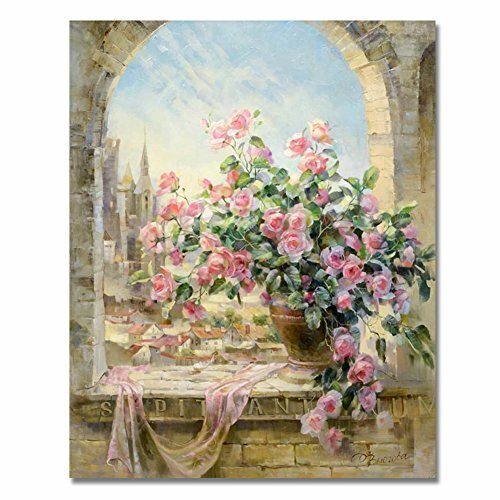 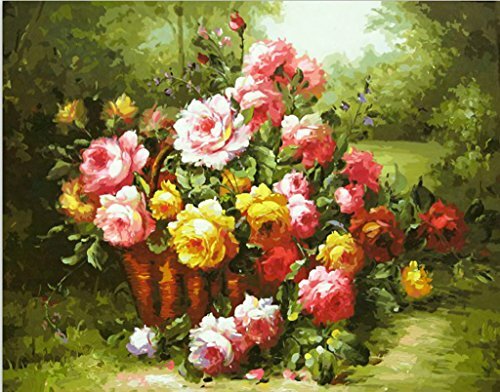 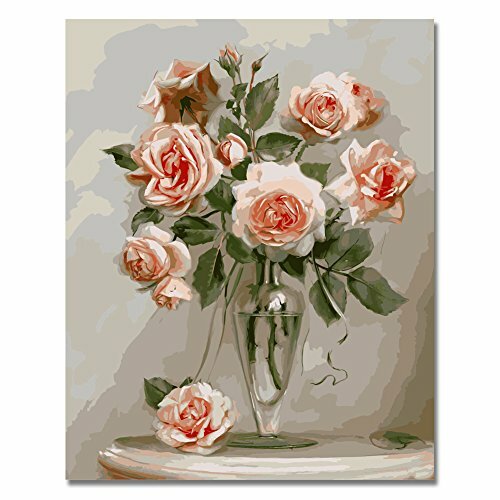 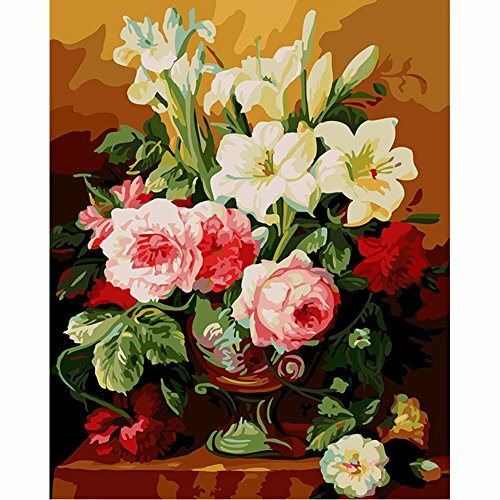 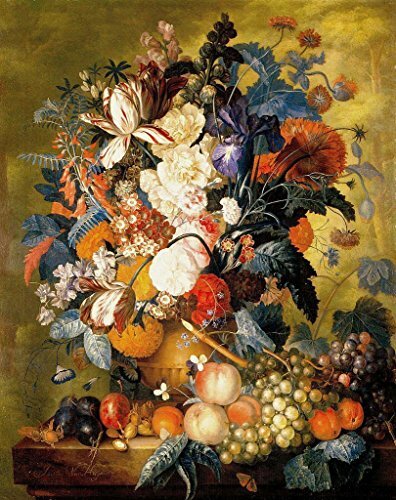 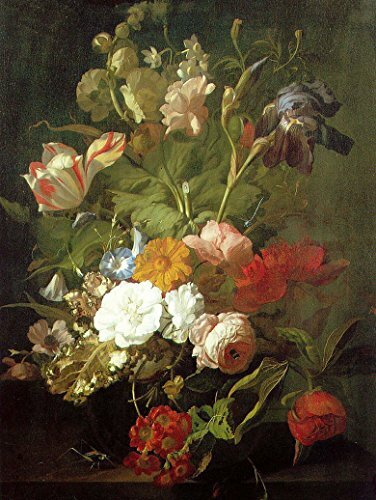 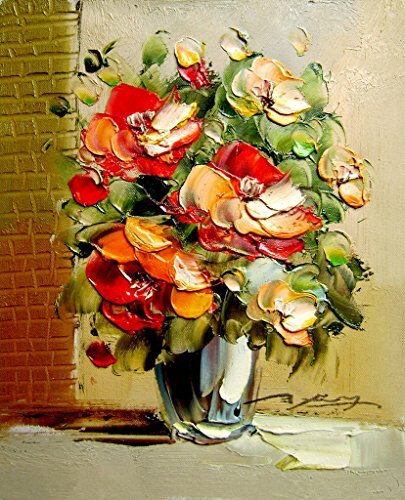 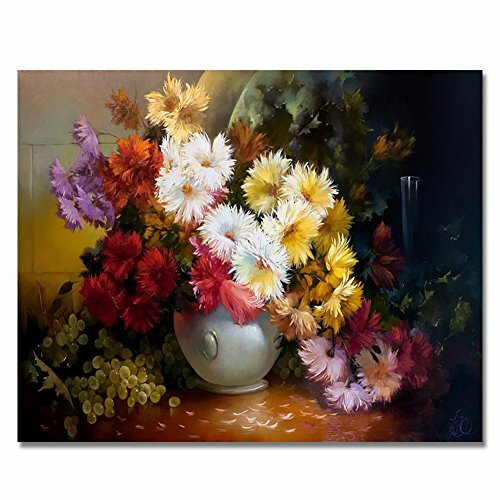 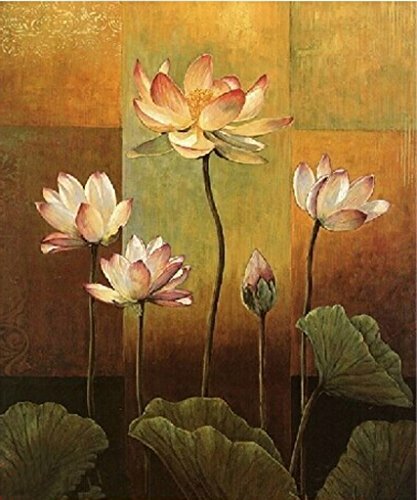 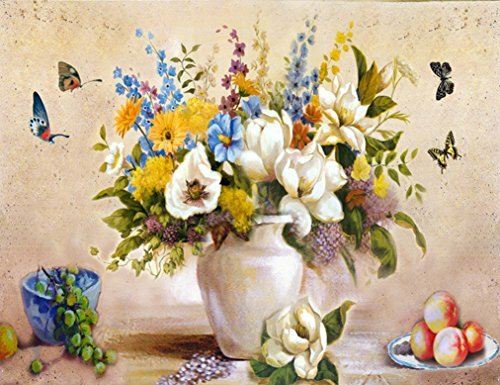 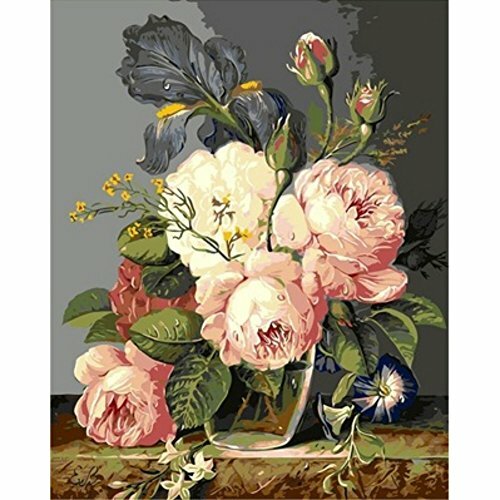 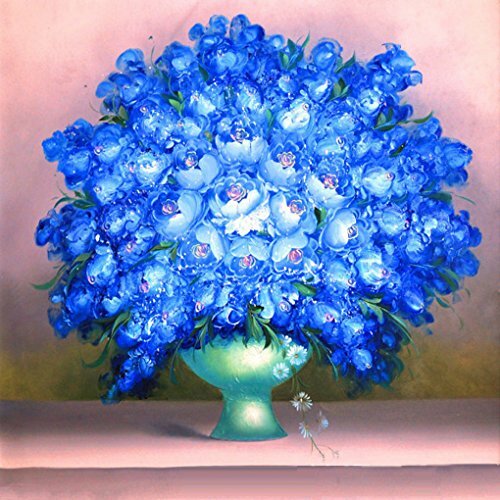 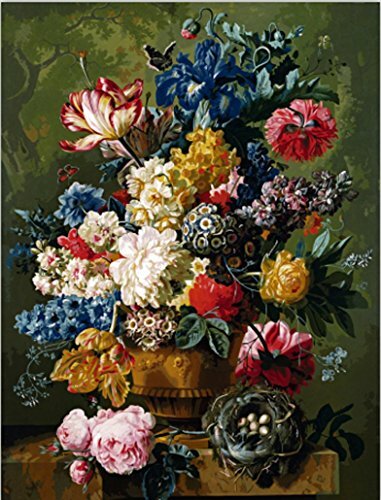 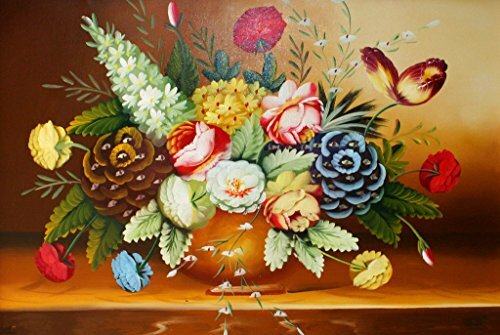 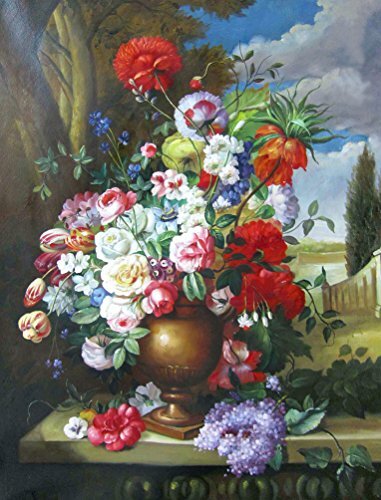 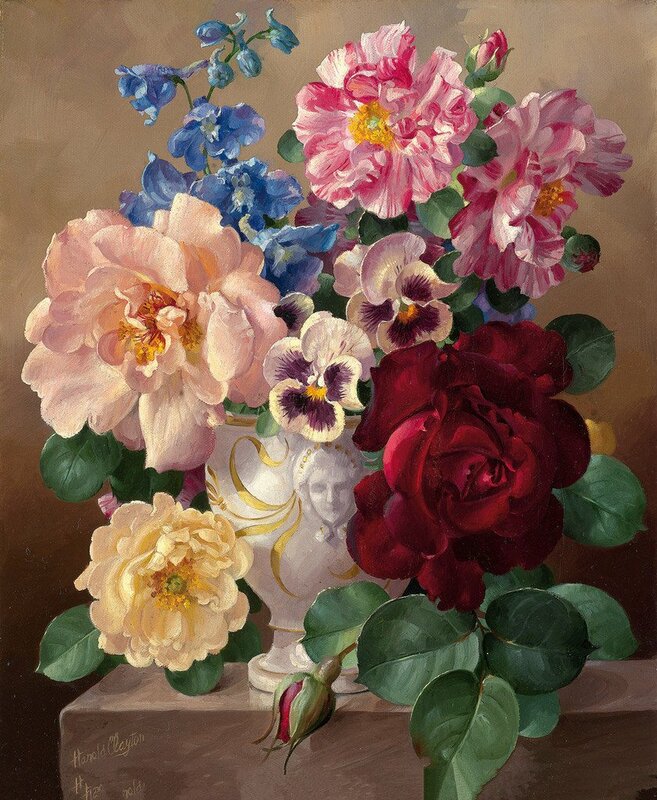 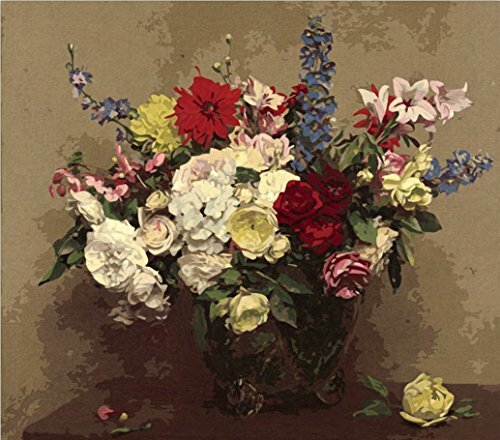 Classical flowers is a 16 by 20 inch paint by number kit that requires no blending and comes on a pre-printed canvas mounted on wooden frame. 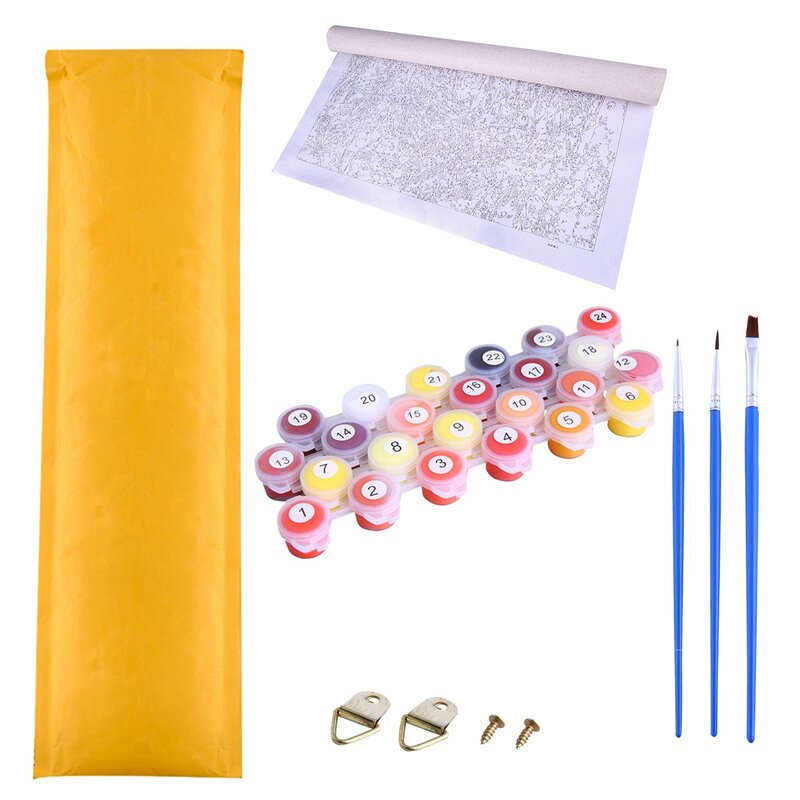 This kit comes complete with high-quality acrylic paints and 3 paint brushes. 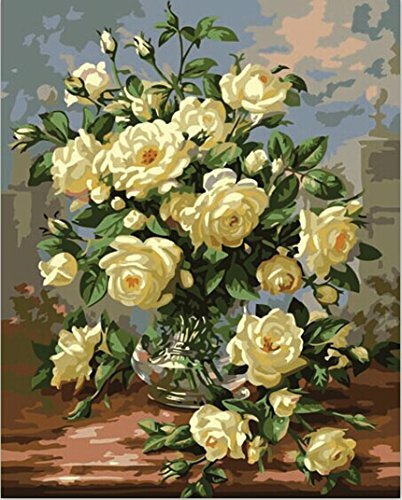 The floral paint by number kit measures 16 inches by 20 inches, you’ll find that it is really fun to complete even if you have never attempted a paint by number kit. 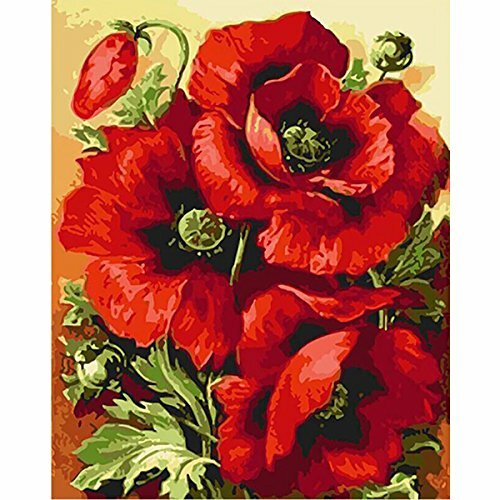 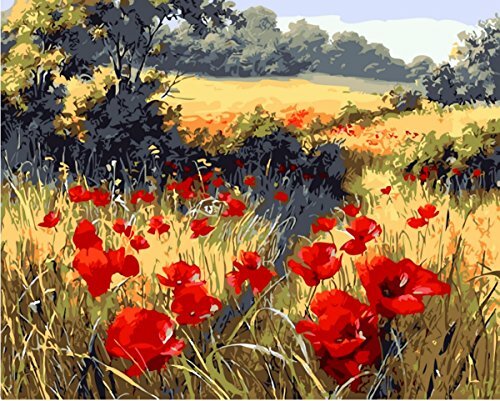 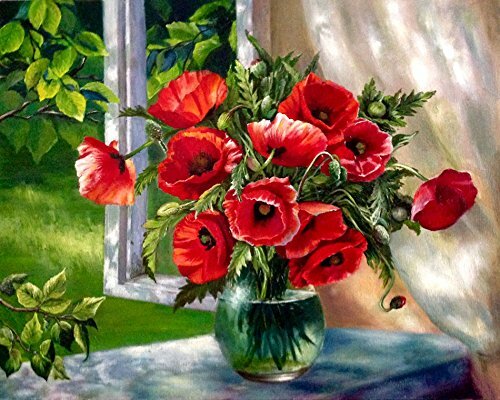 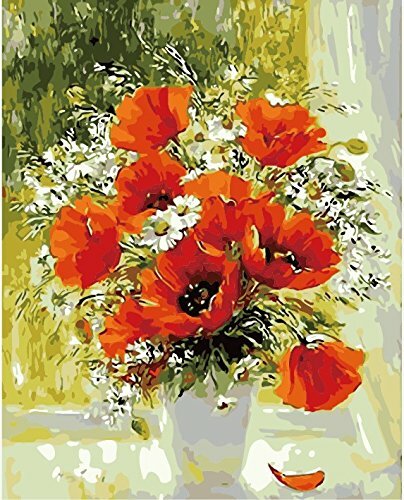 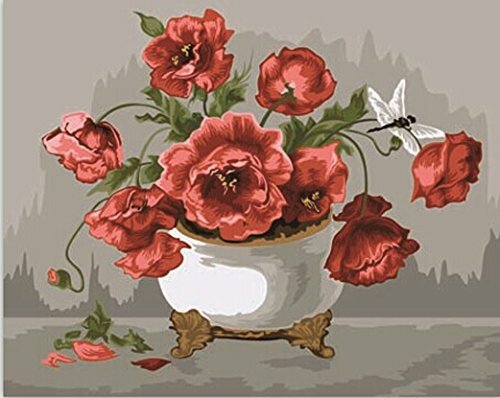 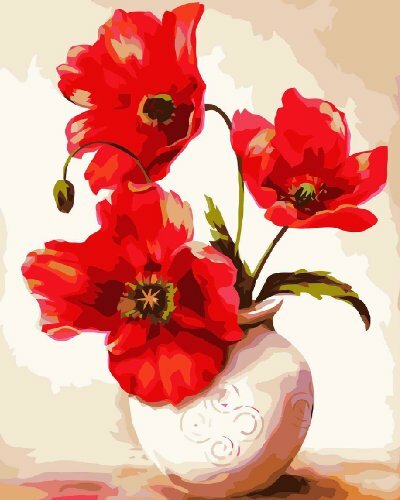 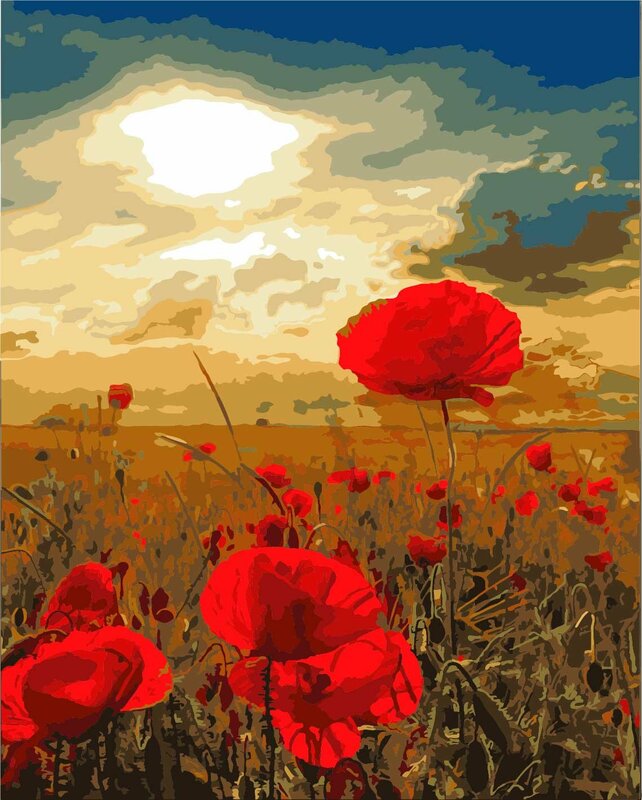 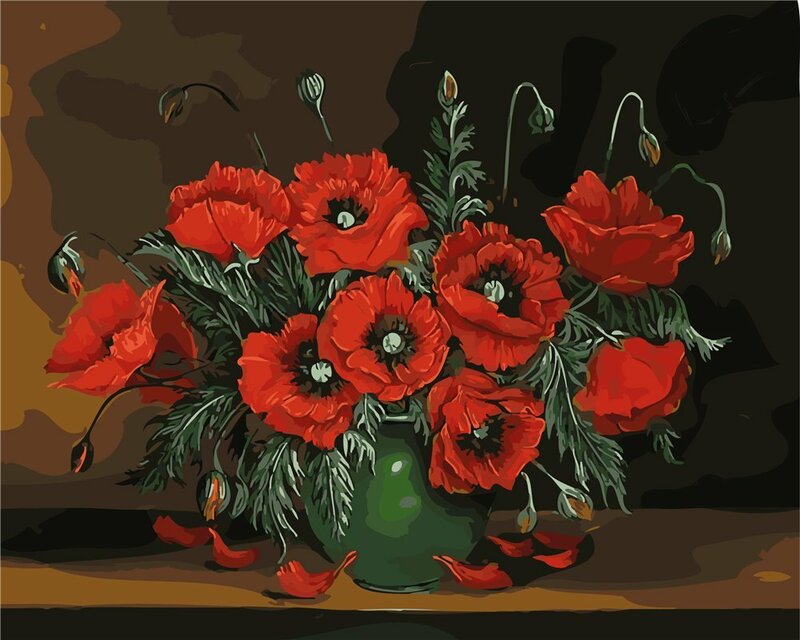 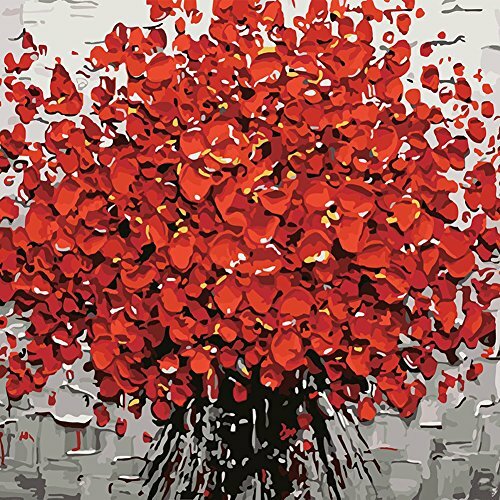 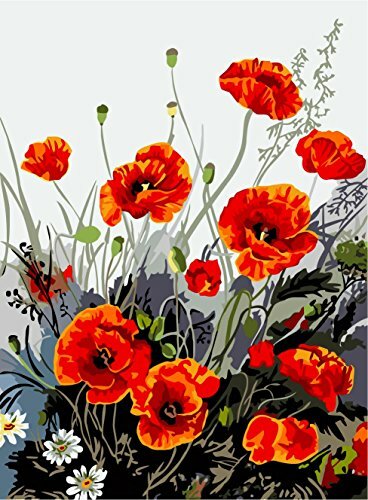 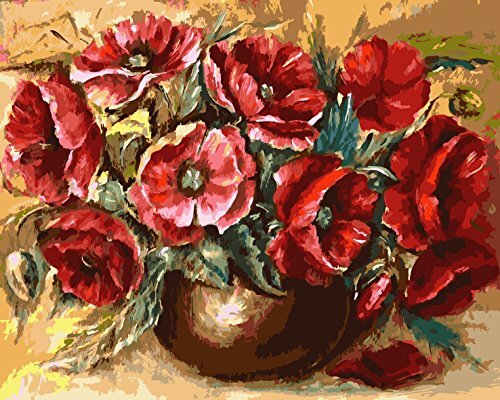 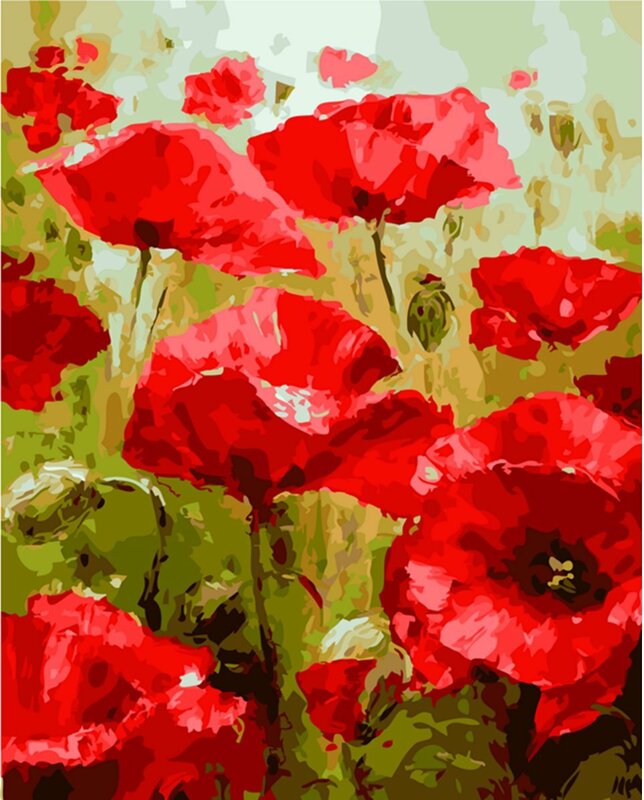 Red Poppy Flowers is a striking floral paint by number kit that comes either framed or just as a canvas. 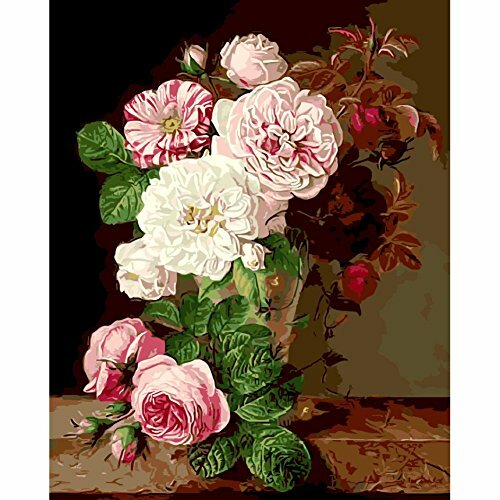 The finished painting is 20 inches by 16 inches and the kit comes with 3 paint brushes and enough Safe Acrylic Paints to finish the painting. 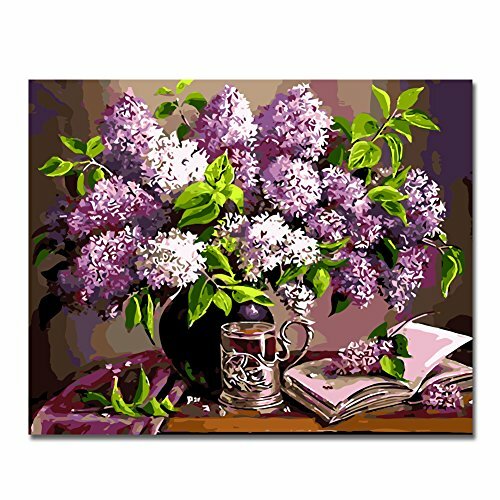 This paint by number kit also includes a 3X Card Magnifier for Small Area Painting. 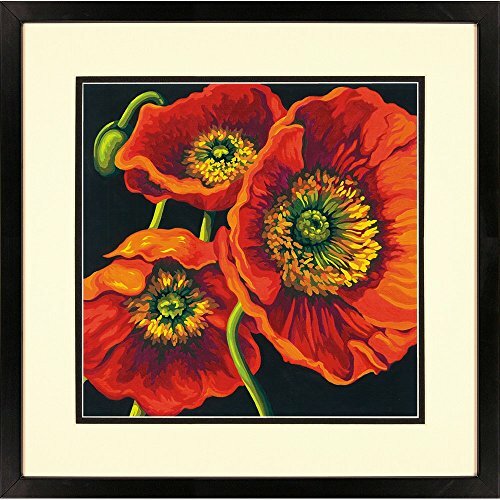 Note: The frame is not a picture frame, it is a wooden frame that the canvas is stretched on. 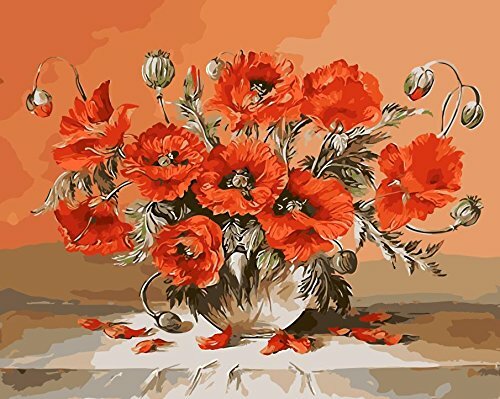 This floral paint by number kit of red poppies in a white vase is beautiful and measures 20 inches by 16 inches when finished. 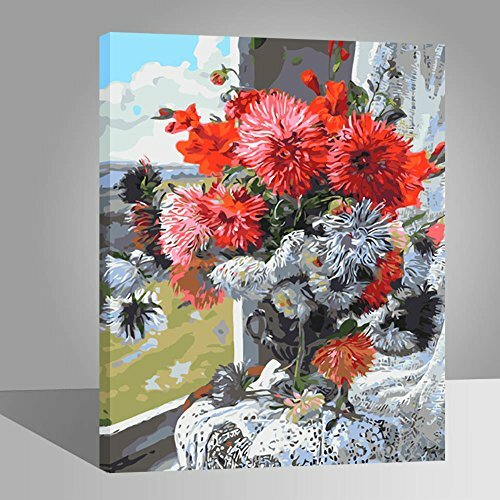 The kit comes with 1 pre-printed canvas, 3 size high quality painting brushes and enough high-quality safe acrylic paints to complete your painting. 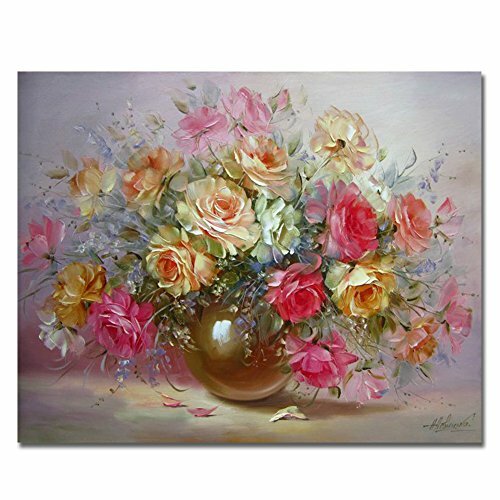 Note: The wood frame does not come with the painting, you will have to buy this as an extra. 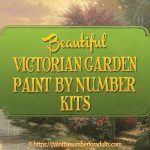 If you enjoyed this page on paint by number Victorian Garden kits you might also like some of our other flower and garden paint by number kits as well.